I absoloutly love 1d im so crazy about them I have even got tickets to their concert tour nxt year I am one directions biggest fan EEEEEVVVVVEEEERRRRR!!!!!!!!! I love 1D!!!!!!!!!!! I can’t sleep with out listening to one of their songs! love yu!!!!!!!! Niall is my favorate.His fav color is not Yellow its blue and I just hate this book. THIS BOOK IS AMAZING I AM ONE DIRECTION’S NUMBER 1 FAN FOR EVER AND NOBODYS TAKING PLACE I LOVE ON DIRECTION. Harry im after you never gonna give up !!!!!!!!!!! 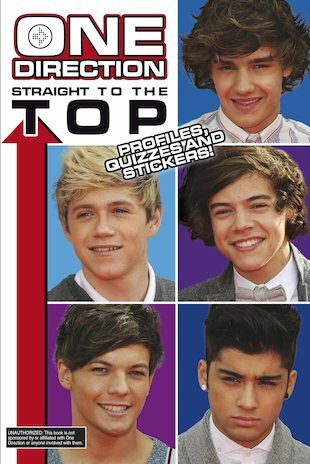 If you love 1D like i do this book is totally for you!